Multiple lawsuits have been filed for more than $500 billion against elite universities and those implicated in the college admissions scandal that helped wealthy Americans cheat their children's way into school. Two Stanford students filed a $5 million class action suit on Wednesday claiming they were denied opportunities to get admitted to their choice of a top college and have now had their degrees devalued in the wake of the recent charges. Meanwhile, a San Francisco parent has filed a separate $500 billion lawsuit claiming her son was not admitted to some colleges because wealthy parents charged in the scandal thought it was 'OK to lie, cheat, steal and bribe their children's way into a good college'. In their lawsuit, Stanford students Erica Olsen and Kalea Woods say they never would have wasted their money applying for elite schools like Yale if they had known they were 'rigged by fraud'. Olsen said she was rejected from Yale after paying her application fee despite her 'stellar' test scores and athletic ability. 'Had she known that the system at Yale University was warped and rigged by fraud, she would not have spent the money to apply to the school,' the lawsuit states. 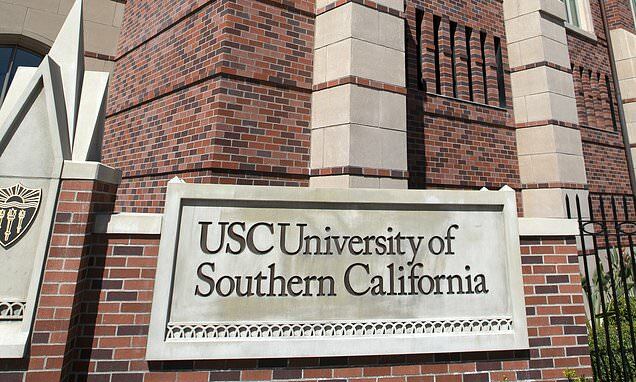 Woods said in the lawsuit that she was also an exceptional student and athlete but didn't realize applying to USC was 'an unfair, rigged process, in which parents could buy their way into the university through bribery and dishonest schemes'.